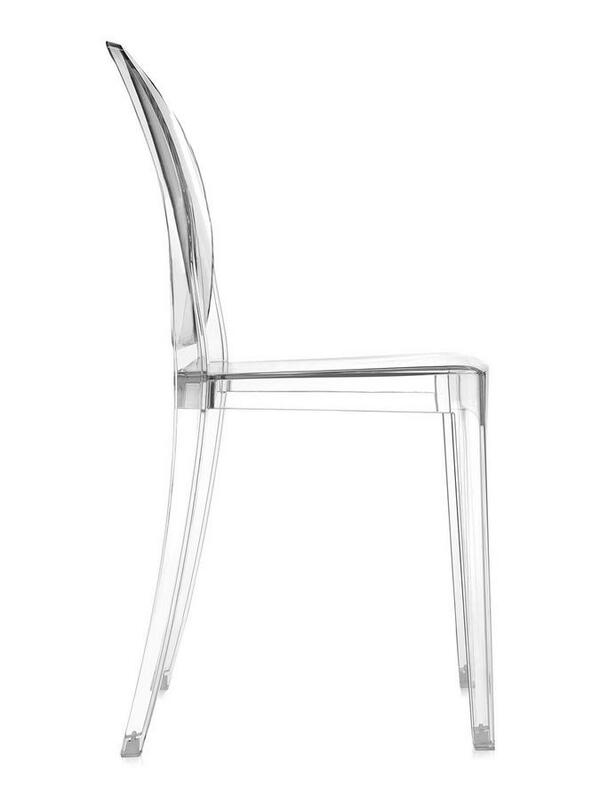 The Victoria Ghost Chair by Philippe Starck for Kartell is part of the famous family of Ghost Chairs, a family which also includes the chair Louis Ghost and Charles Ghost stool. 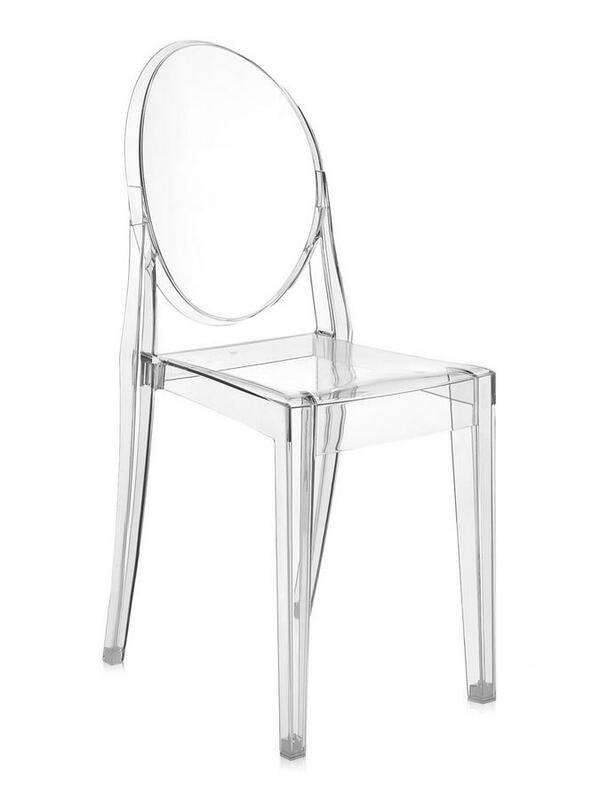 As with its siblings this Kartell chair is defined by its transparency and the resultant way it appears to disappear into its surroundings, just like, well..... a ghost. 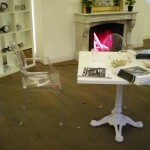 The Victoria Ghost Chair is part of the famous series of Kartell Ghost Chairs by the French designer Philippe Starck. 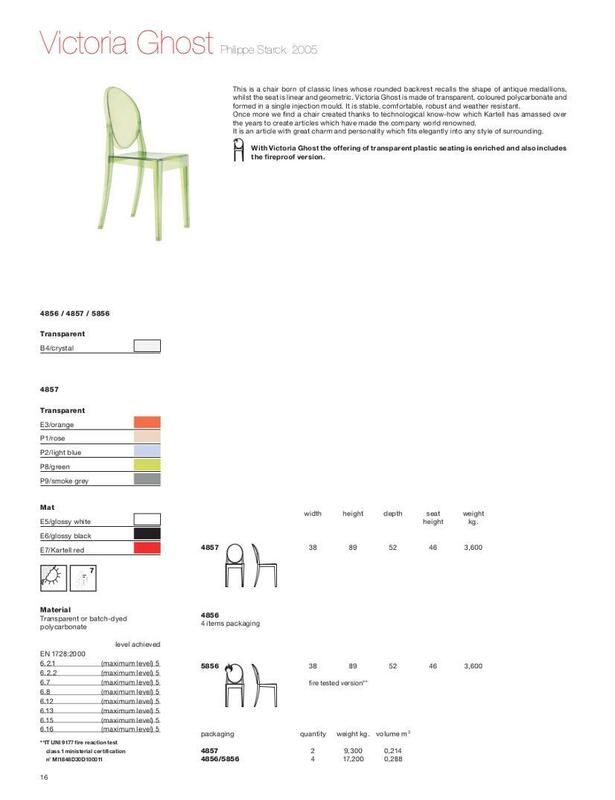 Born in Paris in 1949 Philippe Starck can look back on a long career as an interior designer and product designer and as one of the designer's who have helped Italian manufacturer Kartell achieve its international reputation for high-quality contemporary designer furniture made of plastic. 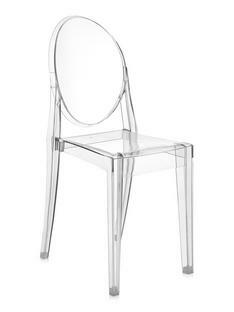 The Victoria Ghost chair is made of polycarbonate and is manufactured by injection moulding in one piece. 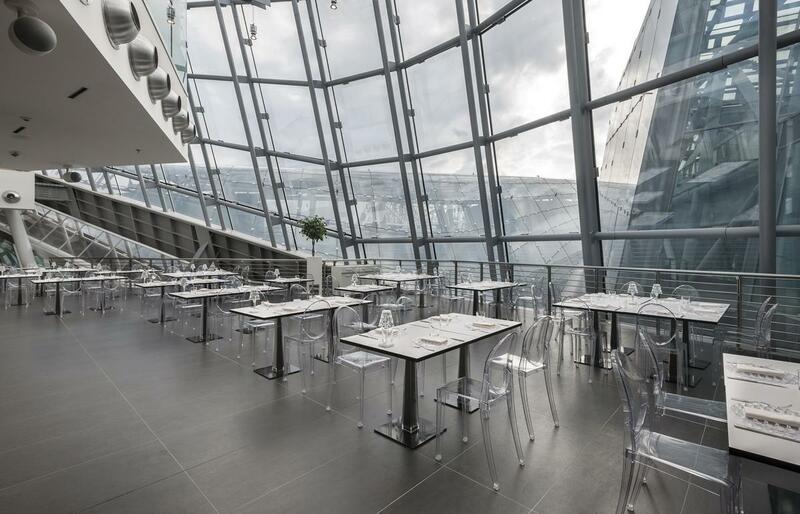 The distinctive feature of this designer chair is its transparency, and this its ability to disappear into its surroundings. Other objects can be seen by the Ghost Chair through, thereby forming an interesting focus in space. 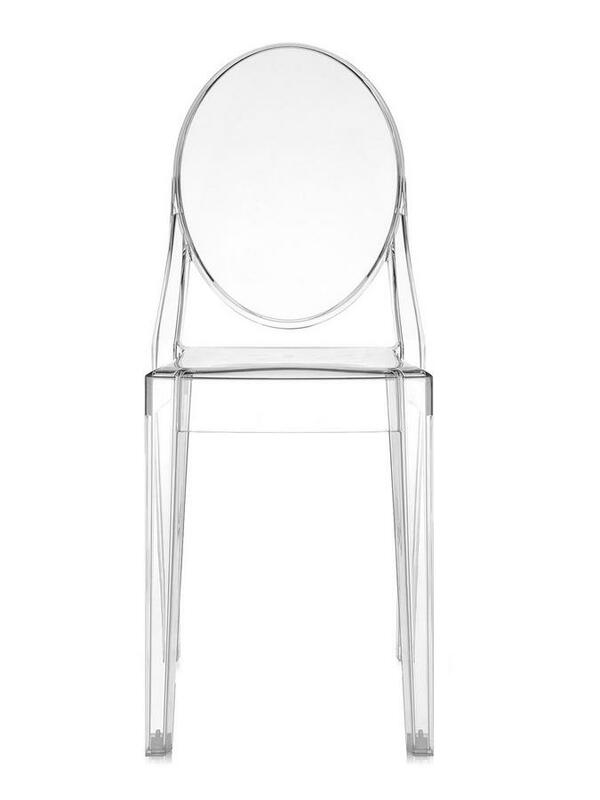 The backrest of the Victoria Ghost chair is reminiscent of a medallion or an oval antique mirror, while the seat is geometric and angular, thus creating a nice visual contrast.